Portfolio - Christine Cobb Marketing in Beaufort, SC. 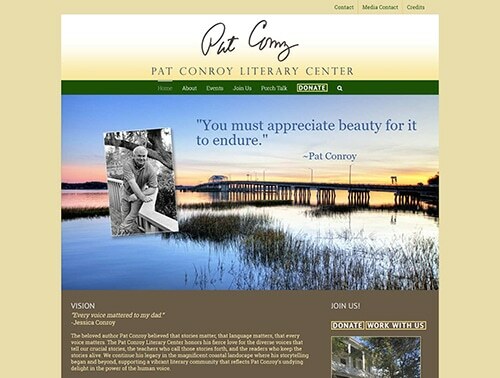 They wanted a website to not only honor the best-selling author but to provide information about the various events sponsored by the Center and raise funds for its continuing operation. 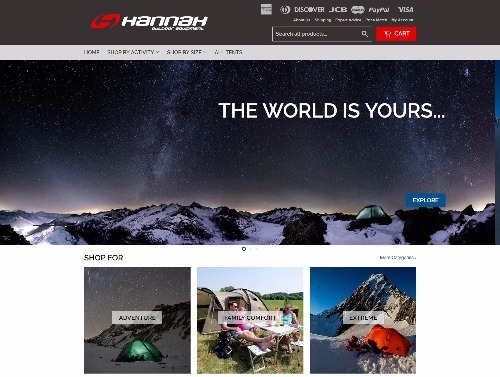 After securing the North American distribution rights to the Hannah brand of outdoor sporting equipment and establishing their brand on Amazon.com, Hannah Outdoor Equipment wanted to launch their own ecommerce store. After discussing the choices of platforms, they decided on Shopify as that would have the ability to connect to their Amazon inventory and be relatively easy for them to add products as their product line increased. RSW Recruiting Solutions launched their independent recruiting services in 2017 targeting the chemical, plastics, polymer, minerals, metals, and food service industries. They wanted a website to highlight their practice areas, post job openings, accept resumes and write articles of interest to the industry. 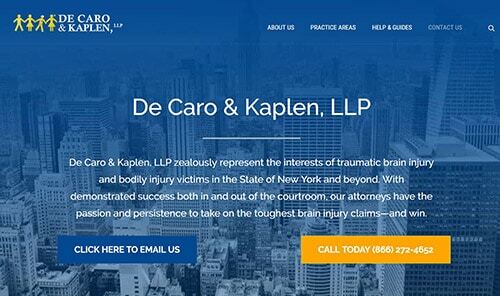 De Caro & Kaplen, LLP is a premier law firm in New York representing clients who have been victims of brain injuries, accidents and malpractice. They wanted a total redo of their site with the objective of easier navigation, search engine optimization and highlighting areas of expertise. I collaborated with a professional SEO expert for this project. The site is built with Thrive Themes. 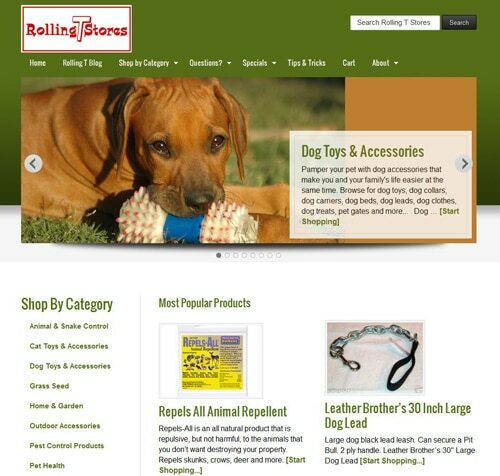 Rolling T Stores wanted an ecommerce store to sell their products online. This site is built on the Studio Press Genesis framework using the Optimal child theme and is powered by Shopify. 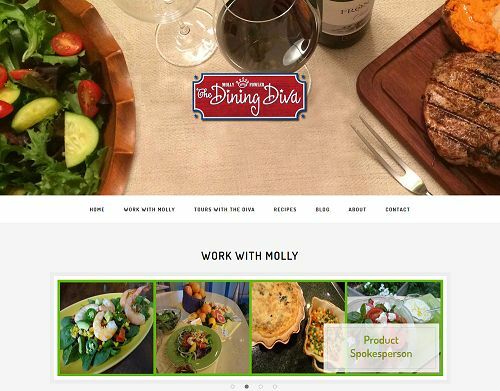 The Dining Diva, Molly Fowler is a cooking instructor, cookbook author and spokesperson. Molly recently requested an update to her site to take advantage of the newer WordPress themes. This site is built on the Genesis theme and optimized for mobile devices. 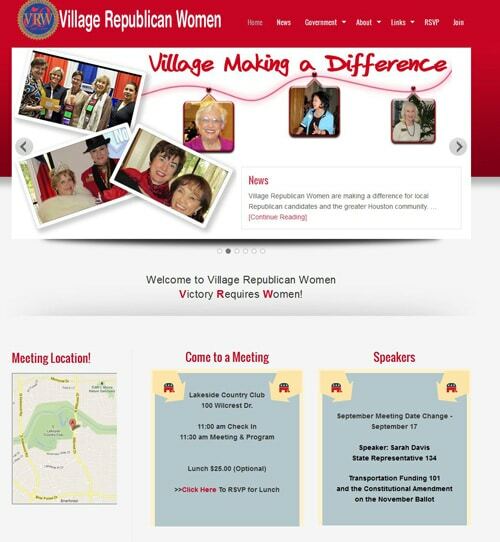 Village Republican Women wanted a website to keep members up to date and provide information for others looking to join a Republican club in Houston. Deer Park Education Foundation is a non-profit organization that raises funds for teacher grants. They wanted a website separate from the school district to raise funds, connect with alumni and provide information and news about their activities. This site is built on the Genesis framework with the Legacy child theme. 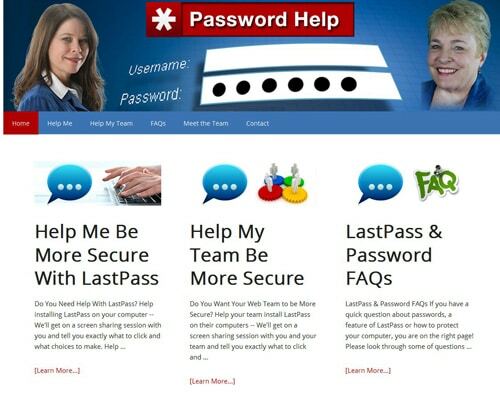 PasswordHelp.me is a joint venture site with Regina Smola of WPSecurityLock.com. We wanted to create a site to help folks install and use a password manager to stay safer on the Internet. 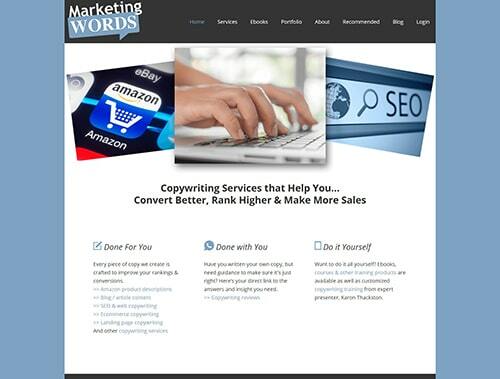 Marketing Words was founded by Karon Thackston, a world-class copywriter. She recently updated her firm's logo and wanted a fresh website to showcase the company's copywriting services as well as sell her various copywriting books and courses. 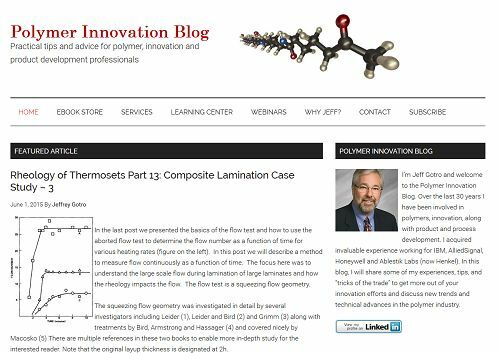 Jeff Gotro, founder of Innocentrix, LLC and the Polymer Innovation Blog wanted to convert his old Thesis theme to something more modern looking and mobile responsive. He also wanted to sell ebooks and videos from his site. I used a Genesis mobile responsive child theme for the layout and powered the store with Digital Access Pass. "In this day and age many swear by Facebook as the key means of communication, forgetting that a full and in depth relationship with a targeted group requires visual means that social media often lacks. Along comes Christine Cobb with a remarkable ability to deliver exactly what you need, with the creativity to meet your special demands, and with real and rare dedication to your success.."
"I love selling online but don’t have the expertise to create & target a website for maximum search exposure. Christine Cobb knew exactly what I wanted after a few minutes of brainstorming with me. She helped me picture what I wanted created. Her ability to help you see the “big picture” to develop a website that meets all criteria. Christine is developing an awesome website for Rolling T Stores. It is a wonderful process to watch unfold." My favorite all-round theme family is Genesis from Studio Press. The Genesis framework is well-optimized for speed and search. There are also many child themes to choose from to give you a head start in developing the look and feel you want. I have replaced all my OptimizePress pages with Thrive Architect. This page builder plugin creates stunning sales and landing pages. It can be used alongside any other theme. Shopify is one of the premier ecommerce platforms. Not only do they provide fully integrated themes for hosted online stores but you can also use their very inexpensive “Buy Button” service to create a shopping cart on any WordPress website. If you need a form for any reason like a contact form, applications, registrations, quizzes, polls, surveys or anything else, Gravity Forms is the premier plugin for WordPress. It uses add-ons for email services like Aweber and MailChimp, merchant accounts like PayPal and Stripe, Freshbooks and Zapier (to connect to over 200 services). There is nothing you can do with your website that is more important than regularly backing it up and storing the backups offsite. There are many solutions to accomplish that but none easier and more convenient than Backup Buddy. It is a set it and forget it solution that will back up your database and files and automatically send the backup to your desired destination like Amazon S3. Free tutorials, checklists and how-to videos on a variety of online business solutions. If you are a client, click below to login to your personal client area.